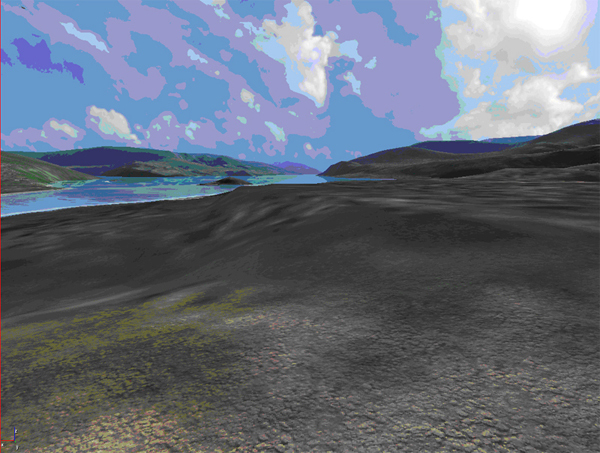 Click the blue dots in succession, and see Doggerland disappear beath the waves. Compared to what happend in the Mediterranean what happened with Doggerland was drastic. -3- and last but not least: the giant tsunami caused by the Storregga Slide. I guess it's all up to me. Im hoping that sooner or later, TAS will decide to actually start investigating the Texas Gulf coast. After every major storm or Hurricane. McFadden Beach is littered with points, scrapers, and other artifacts. Ive done some diving off the beach, as far out as a hundred miles. but havent really seen anything. which is no surpise considering the closer you get to the shore visibility gets crappy eventually its about a foot or less. and even where visibiliy is okay, and the depth is with in range, theres so much muck on the bottom that its like looking for a needle in a haystack. Hello, you said you had done research on Doggerland. Well then, tell us about it here, please. I mean, I posted till my fingers hurt because you wanted to start a thread about this topic. Yeah, that's the spirit, just remain silent. Maybe we Dutch will actually manage to do that, some time in the future. Im hoping that sooner or later, TAS will decide to actually start investigating the Texas Gulf coast. After every major storm or Hurricane. McFadden Beach is littered with points, scrapers, and other artifacts. I read sometime back that Robert Ballard plans the Gulf Coast for his next area of underwater exploration. I don't remember when, though. Could be he's already done it by now, or maybe he's in the process right now. Do not distract this guy/girl from his/her obligation to contribute to something about Doggerland, OK? And if you ask me - and I know you didn't - then Robert Ballard should start exploring Doggerland or Sundaland. 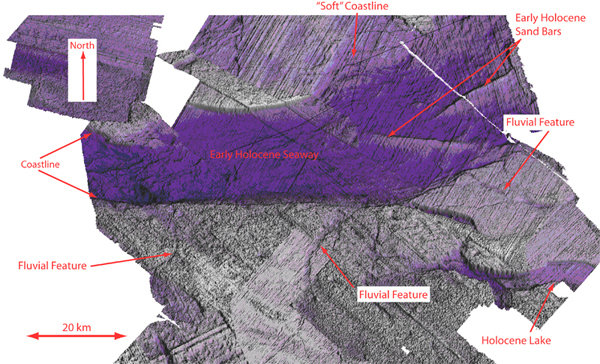 THOSE are really huge areas that were submerged after the last ice age. If he wants to find anything of an ice age or post-ice age civilization, then he should start there. sorry not staying silent. in fact I have been pouring over data about doggerland. oh.. and I said it touched on my research. Im pretty interested in Gaffneys idea that doggerland could be the key to the mesolithic culture. also trying to find whether the Occupation sites in Northumberland and the Isle of wight, might have had a bearing on the inhabitants of Doggerland. especially since they would have been contemporary's of the Doggerland population. of course I keeping find stuff that raises more questions. such as mesolithic Burials or the lack there of. and the theory that such Burials might be underwater(Doggerland) or the remains placed in boats. like the burial at Møllegabet. though some seem to think this wasnt so much a burial as a clan warning to trespassers. 500 metres off the coast of Tyneside, scuba-diving archaeologists have found evidence of an undersea early Mesolithic settlement that could be 10,000 years old. Another more recent late Mesolithic site was found nearby. The finds included a flint arrowhead and cutting implements with serrated edges. Penny Spikins who is leading the international submerged prehistoric landscapes project said, "Archaeologists thought that the sites left by people who lived 5-10,000 years ago had simply been lost to the sea. But our finds could change our understanding of the earliest occupation of the British Isles. They open up a whole landscape under the water, a new frontier for archaeology." a petrified forest in Mounts Bay, Cornwalan off of county wicklow. I like to read your posts and check out your links. which is why i hop on then off again. Is that all you found? Jesus F. Christ, I could have told you all about it. So, to be short, you haven't found anything substantial, and nothing new. What I posted only costed me a day. OK, forget about it. I will try to make this thread live by what *I* post. Regarding the absence of a North European flood legend, could it have been replaced by that of the Biblical flood? If a minority people have one flood legend and the dominant culture has another, the details of the minority's flood legend might gradually become confused with the majority's, until it ceased to be distinguishable. Yes, that's certainly just a thought, and a very good one too. Maybe there is something like a flood legend, but hidden away in some kind of weird mythology. That is a a beauty! was it from some old popular science or popular mechanics mag on the old times? the origin point of the mother language can also be the point or area where the flood/deluge occurred. In this case that would be Doggerland then? I mean nearly all cultures, associated with the Indo-European linguistic family, do seem to have at least one legend / myth about a flood or deluge, it would stand to reason that the source might be the same. The tsunami caused by the Storregga Slide, would in my opinion, be an event impressive enough to create such a legend with all the survivors that saw it happen, since it would have been quite sudden as well. The only legends about floods, submerged cities and/or submerged lands I could find are those of Ys, Lyonesse and maybe Avalon. But even if these places really did exist one time (and the Scilly Islands were once really joined into a large island), then they were located somewhere in the Channel, either of the coast of France or South-England, and much later in history. I think that if there are legends about that event to be found, then we will have to look to old Scandanavian (here: Danish and Norse) legends. The Scandanavians may be the descendents of the people that lived there 11,000 years ago, or they may have met them and shared stories with them. There are also the Frisians, a Germanic people that once occupied the North Sea coast from Belgium up to Jutland in Denmark. And they were there from like 800 (?) BC. I read a lot of their history yesterday evening, but whatever they have of legends, most of them are closely related to what the other Germanic tribes have to say, and not one escpecially about some ancient flood in the North Sea area. In the Irish Lebor Gabála Érenn, or The Book of Invasions ( http://en.wikipedia.org/wiki/Lebor_Gab%C3%A1la_%C3%89renn ) there is mention of an 'evil' kind of people who inhabited Ireland, the Fomorians. The followers of Partholon were said to be the first to invade Ireland after the flood, but the Fomorians were already there: Seathrún Céitinn reports a tradition that the Fomorians, led by Cíocal, had arrived two hundred years earlier and lived on fish and fowl until Partholon came, bringing the plough and oxen. It is possible that this is a memory of Mesolithic hunter-gatherers giving way to Neolithic farmers. Partholon defeated Cíocal in the Battle of Magh Ithe, but all his people later died of plague. ( http://en.wikipedia.org/wiki/Fomorians ). The word fomóire is believed to derive from Old Irish fo muire (Modern Irish faoi muire), "under the sea". This, combined with their association with glass towers in the western ocean, suggests a connection with icebergs. However the mór element may derive from a word meaning "terror", whose Anglo-Saxon cognate "maere" survives in English "nightmare", but not in "morbid" which instead comes from the latin, all from the Proto-IndoEuropean word *mor : "to rub, pound, wear away". However, Mac Bain holds that there are phonetic inconsistencies with both these theories that would prevent derivation of the long ó in the morpheme "-mór" from "muire, mora" ("sea") or from "mor, mar" (terror, death). His educated opinion leaves the conclusions of Zimmer fomóiri > fo-mór "sub-magnus" (giants, small? giants, nearly? giants, huge people?). Stephen Oppenheimer has already made a compelling case for all the major flood legends having a common physical origin with refugees from Sundaland. For me the case is closed on this one.Common legendary and linguistic links can be traced all the way up to Northern Siberia. It seems that if there was culture up in the dry doggerland, the harsh conditions would have restricted its sophistication. The evidence points to the Sundaland culture been socially very sophisticated and technologically advanced. This might explain why the Sundaland flood legends dominated over any northern european legends. Stephen Oppenheimer has already made a compelling case for all the major flood legends having a common physical origin with refugees from Sundaland. For me the case is closed on this one. It seems that if there was culture up in the dry doggerland, the harsh conditions would have restricted its sophistication. This might explain why the Sundaland flood legends dominated over any northern european legends. i knew that Br. Cornelius would be posting soon with his sundaland in Indonesia theory (not his but Oppenheimer's)!! It seems that if there was culture up in the dry doggerland, the harsh conditions would have restricted its sophistication. 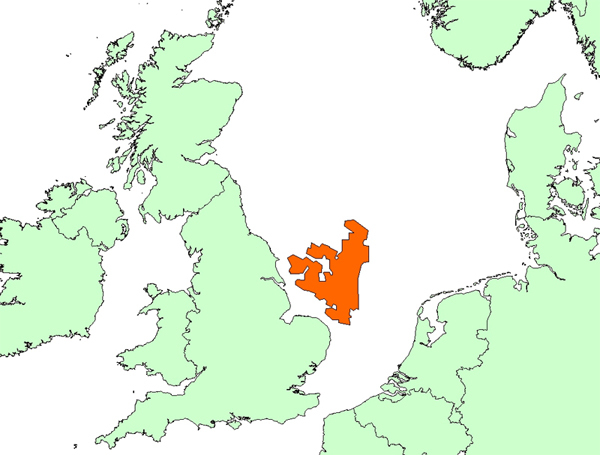 But if you had read all I posted here, then you would have known that the conditions in Doggerland (around 8000 BP) were not harsh at all, the area is now seen as some kind of 'paradise', and not at all like the harsh tundra it was always thought to be. The tundra like conditions did exist right after the end of the ice age, but these conditions changed for the better in the next couple of thousand years. The origins of the Fomorians, also known as Fomhoire or Fomorii, are unknown. The name Fomorian can be derived from an ancient name for Scandinavia, Fomoria. The Fomorians are however described as dark haired and dark toned creatures, features suggesting a Mediterranean origin. Apart from Tory Island the Fomorians are said to have lived also in Scotland and Norway. Their name might also be derived from the Gaelic Faoi Mhuir, meaning Beneath the Sea, although other scholars think that Mor means Phantom or Spirit. In Irish mythology the Fomorians, often described as sea creatures or giants or otherwise misshapen humans, represent evil and darkness. Some scholars assume that the Fomorians were the Neolithic farmers of Ireland. I made it very clear it was Oppenheimers theory. If doggerland had culture it needs an explanation as to why all memory of it is lost, whereas a contemperous culture resonates down through history. There is also the contemperous sunken lands of Tamil, which again have good documentation within the Tamil tradition. The most reasonable explanation is that it was simple and brutish and didn't have a strong oral tradition- and as Abramelin suggests, it was wipped out by sophisticated later invaders. Possibly it was Neandethal in nature, and this is why they are described as Giant, frightening brutish monsters, obviously significantly different to the latter invaders. Sorry I jumped in late on this one. I will read back. Well, this is fun: I was actually thinking these Fomorians might have been Neanderthals (and dark skinned, not light skinned as is being assumed by scientists now) !! But then ... why are there no Neanderthal remains found in Ireland? Maybe they died out before the ice sheets in Ireland retreated after the end of the last ice age? Maybe the existing culture in Doggerland was brutish, or... it really happened so long ago that nothing recognizable got saved in mythology.